Easy-to-follow patterns, diagrams, and helpful sizing instructions specifically for the four-legged variety ensure that knitters of all skill levels will be able to shamelessly spoil their favorite furry friend! Pets features an abundance of delightfully playful designs for pooches and princesses alike—from a Fair Isle dog bed to a chic cat collar to toys galore—along with an assortment of knits with cat and dog themes such as embroidered pillows and a children's floppy-eared hat. 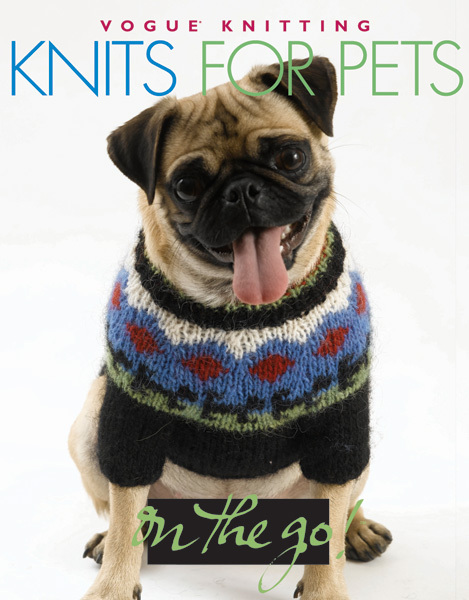 Your pets will be grateful for the extra warmth and attention from their favorite knitters!